TiVo has finally revealed its next generation of set-top boxes, both of which will further blur the lines between broadcast and broadband content. The TiVo Premiere will cost $299 and hold up to 45 hours of HD video, while the TiVo Premiere XL will cost $499 and hold up to 150 hours of HD video. The boxes will also support Netflix movie streams, Blockbuster On Demand, YouTube and Pandora. The easier searching will also be facilitated by a new remote that includes a QWERTY keyboard. Also, because the new TiVo platform is Flash-based, third-party developers will be able to create games and apps that were previously not possible on set-top boxes. Insiders, will you be purchasing or upgrading to one of TiVo’s new boxes? How do you see them competing with the ever-increasing number of set-top boxes out there? I have not read the fine print on TiVo but when it says “boxes will also support Netflix movie streams, Blockbuster On Demand” is this just support and you still have to purchase the services or do Netflix and BOD com as part of your TiVo service? I have thought about getting TiVo but haven’t gone through with it yet. You still have to purchase the services. Netflix, unlike your girlfriend, isn’t going to give the milk away for free. Does anyone know if these boxes support streaming from a PC? My parents have had cable before it was even Comcast, which is well over 20 years. Always pay the bill and are never late. We tried calling for promo pricing and discounts and told us there wasn’t any available. Even when we suggested that we would switch to another carriet they said ok and didn’t offer anything. Not even a thank you for being a loyal customer. Slidecage, you don’t need a phone line with TIVO either. I have mine set up on my internet. I have the series 2 Tivo with the dvd burner that was being sold a few years ago that doesn’t require subscription for the tivo services and that is enough for me. Those boxes are great because there are no additional fees, if you want a bigger hard drive you can just buy one, and the quality is very good. 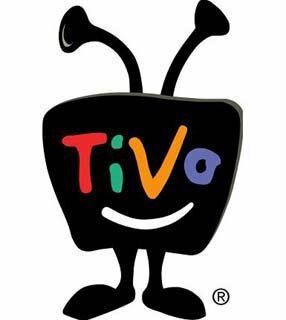 Now Tivo is offering the $300 lifetime service that allows you to set up recordings via the internet. I will not be upgrading to anything else until that tivo is completely dead or I can’t find a replacement through ebay. Sorry, the lifetime service allows you to do a variety of things that the basic free service doesn’t but the basic service has been working for me just fine these past 6/7 years. I have 5 TiVos with lifetime subscription. My wife, who hates everything electronic, loves them. She is the one who encouraged me to buy the last 4 after using the first one. I could not ne easier to use or more friendly and flexible. With one of them we tried without a subscription thinking we could set the time and channel and use that to record, but that does not work either without a subscription. So, we just got the lifetime subscription. Just the other day she was telling me that she thinks it is one of the best things we every purchased. And no, I have no affiliation with TiVo. I have three Tivo machines. Canceled the service because they failed recording programs because they were not able to maintain connections. The problem started after buying two HD machines. Called Tivo and they just wanted to replace the machines. I did firmware updates without success in regards to recording. Two machines have HD and expanded hard drive storage. All three had the same problem. I liked the service until it became unpredictable and annoying. Mobile broadband can only be good when you do not rely on it as your daily wok basis because it can really cost you a lot of money to reload! Or better still for home use because you can’t feel the pinch when the money is gone the way you would have felt were it for business.